Smartphones are dime a dozen these days – how many people do you know who do not own a smartphone? Well, with so many different kinds to choose from, it really depends on which features you’re looking for, and for the majority of us – to go the iPhone route, or settle with Android/BlackBerry/Windows Phone 7. Symbian? What’s that? For those who have a soft spot for Android, perhaps HTC’s latest smartphone release, the HTC Rhyme, might be something that you want to look into. This handset was specifically developed to target those who want advanced features in a phone without sacrificing on looks (some might even call this to be rather feminine in nature), where it will deliver a fresh approach of integrating distinct colors, their very own HTC Sense user interface and a bunch of complementary accessories (sold separately, of course) for a more natural personal experience. With the HTC Rhyme, it will feature a beautiful 3.7″ WVGA super LCD display that will definitely be a pleasure to look at, not to mention high-quality stereo sound that will let your ears tingle with excitement. 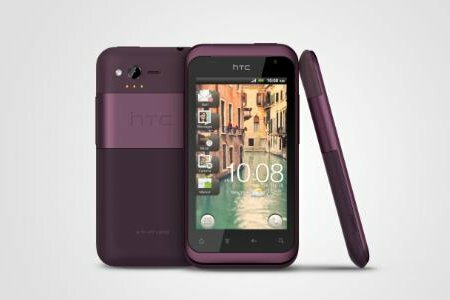 Not only that, the HTC Rhyme sports a 5-megapixel camera that works pretty well with auto focus, power LED flash and instant shutter thrown into the mix. Just like the HTC Flyer tablet, the HTC Rhyme will feature HTC Watch support that allows you to enjoy a wide selection of movies and TV shows which can be downloaded for instant viewing for entertainment on the go – just make sure the Rhyme is well juiced before that long trip! As mentioned earlier, the HTC Rhyme will feature a suite of accessories that include the HTC Rhyme Docking Station, a Charm, a Sports Armband, tangle-free headphones, a HTC Rhyme Bluetooth headset and a Bluetooth Car Speaker. No idea on pricing, but this unit will hit the US via Verizon Wireless, shipping with the Docking Station, Tangle Free Headphones and Charm.